Rated 5 out of 5 by snickers12345 from Awesome Game! I loved the game! The storyline is fantastic! I love how theres a mystery to it! Rated 5 out of 5 by Frannie5 from Fun Times in Fantasy I had lots of fun playing this game. I enjoyed the HO and all the games. Lots of hints and good story line. Not too hard! Rated 5 out of 5 by andrewsnana1 from Great Game I loved this game. The HOS had a few extra objects that were hidden. The mini-games were just right for me not too challenging but not too easy. I was able to figure them out as opposed to skipping. This is one of my favorite games. I didn't want to take a break. Rated 5 out of 5 by marg6043 from Fantastic game This game is a beautiful made game as all the games from the same makers are. Incredible graphics, story line and challenging puzzles and HOS. Is worth every penny of it as a CE. Rated 4 out of 5 by TheSherlockian from A Strong Opening to the SoM Series This is the first game in the Spirits of Mystery series and a strong opening in more ways than one. While the story line is nothing truly special (a princess destined to free her parents and kingdom from evil), the voice acting is competent and the pacing is fairly smooth. 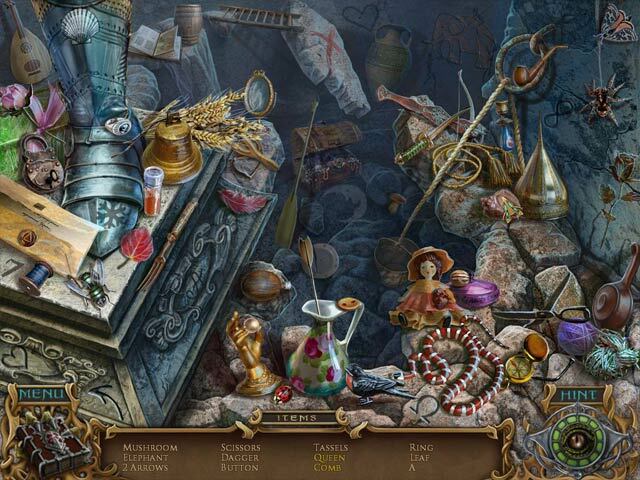 There is a great balance of hidden object scenes and inventory usage. I found both the HoSs to be fairly complex and the puzzles to be of average challenge (a few of them could have been a lot more complicated, but seemed to almost solve themselves). As in most of these games, the ending was rather underwhelming, but the length of the game was good (about 5 hours without skips or hints) and the bonus chapter (while I was wishing for a prequel), does a decent job at genuinely extending the story and game play, making the CE a good buy in this case. There are no achievements and the extras are your usual wallpaper, music, screensaver, etc. Like I mentioned, an overall strong opening for the series and I look forward to playing the others. Rated 4 out of 5 by slimmmeiske2 from Enjoyable game! I enjoyed playing this game. Length is regular HOPA length. Story is nice, if not a little predictable (I’m talking about you, Dark Queen! ), but that did not stop me from liking it. While you had to trail back, from time to time, it was always logical. You did not have to go back to an area where everything was solved, for another HOG scene. (A pet peeve of mine, with some other games.) Puzzles were quite easy, besides the last one (from the bonus game). Rated 4 out of 5 by Mrs_Kim from Great game but too short I love the 'Song of Phoenix' so I also bought this one, but unfortunately for a CE, it's too short. I finished this game in about 4 hours including the bonus chapter. There are lots of HOG scenes and they're all junk. The story is great but too bad because of the short length, it doesn't seem complete. Hopefully if there's another one in the series, it will have adequate length. Rated 4 out of 5 by s_sgs from HOS a LOT!!! Gorgeous Graphics, Lots o' Fantasy Fun! Based on Completed Game in Export Mode (the 2nd of 2 modes). These games are becoming so beautifully put together I Think us gamers might be getting spoiled!!!!! Remember "Zork"? How things have evolved.... Summary: I recommend this game for those who love HOS and fantasy fairy tale lands as this game is superbly done and delivers on all counts. I would not recommend this game for those who tire of rapid fire HOS, especially if it comes at the expense of puzzles and adventure. -----------Having said that -- HOS lovers, this is the game for you! Nary is a move made that doesn't first require completing a HOS. If a few minutes pass and no HOS is seen, just move to the next room..... There are shimmers indicating HOS in Expert Mode which I appreciate! Thank you! :) It's no fun backtracking, clicking on everything to find the one nook with a HOS that I missed the first 5 passes. That's not adventure - it's tedium and aggravation. I can get these at work! About the HOS; they are somewhat interactive with 2 or 3 items showing in YELLOW that require an action to reveal them or do something to change them - Some of these were cleverly done and made me laugh. Also a nice touch, items removed during a HOS did not return the next time that HOS became active. The HOS are a blend of easy to more challenging. The flawless graphics allow many an item to successfully hide in plain sight. Yes, I had to use hints several times. sigh. About the mini-games; despite being easy and puzzles we have seen before in other games, they were beautiful, creative, and cleverly executed which made them fun. My personal fav is the "One Octopus Band". Extremely cute and funny. The bummer for me was that the puzzles seemed to get easier as the game progressed. In the final chapter there were few puzzles and those seemed tacked on, requiring only a couple of mouse clicks to solve. About the storyline; It's a bit of what we have seen before -Witch curses a kingdom, when the daughter comes of age she must break the curse, but with a very nice twist at the end. There are clues so the ending isn't necessarily a complete surprise, but still I thoroughly enjoyed it-- well executed and heart warming. It was a far cry from games that, after playing them for hours to reach the climax, roll the credits 3 seconds after the final move. There is a journal that I used for reference only a couple of times, but it is detailed and as with the rest of the game very well done. It does give some hints. No need for a map which is good, because there isn't one. The game closes off areas from previous chapters. As always, I longed for an "area complete", but there were none. It would have come in handy as this game has a lot of rooms and scenes in each chapter. A number of them serve only one or maybe two purposes or are just pass-through. With a couple of exceptions, the completed puzzles areas were closed off, but all else left wide open. I did find that, the way the game is structured - constantly moving forward, the only backtracking necessary was when I had overlooked something and this happened a couple of times. Maybe completed areas were open to allow gamers to revisit favorite areas? All this praise, so why not give it 5 stars? Well, I fall more into the camp of HOS are nice in doses when mixed with adventure and more challenging mini-games. I felt "HOS Overload" mid-way through the game and the last chapter didn't help. It seemed clogged with HOS like weeds choking out the mini-games and adventure. Still, it was worth sticking to it for that nice "pop" ending. HOS Lovers of the world, enjoy! Rated 4 out of 5 by GlacierMyst from Enjoyable game Pros: Easy game played in regular mode. Lots of clear, easily viewable HOS as well as a variety of easy level puzzles. Lot of movement back and forth between areas. A map to refer to would have been appreciated. Decent story line-could, have been more fully developed. Cons: The spoken voice overs were exceptionally slow. You could read the text three times over, before you were given the prompt to "Continue". Unfortunately, no amount of clicking would advance the printed text until the prompt to "Continue" was given. The time delay between clicking to move to the next area was agonizingly slow. If the negatives aren't issues for you, go ahead and purchase now. Otherwise, I'd suggest you wait and catch this on sale before you purchase it. 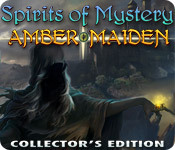 Rated 4 out of 5 by ohsoclueless from SPIRIT OF MYSTERY Cons: no map, causing foot fatigue from back tracking-and the "nothing to do here" hint button..I can't stand that. Pros: it is a lovely, well executed game..graphics are beautiful..storyline easy enough to follow..I like the owl that traverses through the story...it does get tedious for me with so many HOS..so if that is a primary criteria for a game, you willl enjoy it. I purchased it and am glad I did. Rated 4 out of 5 by Aurelia_Farron from Fun but not Fantastic I did play the second one first which might be affecting this but I'll never know. I felt that their were a tad more HOS than there were puzzles but not so much so that it's a real complaint about the game. I love ERS and this was a good starting game for the series. The SG was useful just for the simple fact that the hint button took much longer to reload than in this game's sequel. I did however enjoy the bonus chapter but that was just me. The graphics and sound were good and the puzzles none too difficult. I recommend that you play this game before Song of the Phoenix so you can appreciate it more but I do recommend it none the less. Rated 4 out of 5 by ValarMorghulis from Solid, though not spectacular. I probably would have liked this game better, in all fairness, if I had not played Song of the Phoenix right before it; Amber Maiden pales in comparison. That being said, I don't regret buying it or playing it, and I still enjoyed the game (especially the ending, which was cool); it's not the best Hidden Object game I've played on this site, but not the worst, either. Ultimately, I liked the concept of the witch encasing people in amber, and those people or objects needing whatever "makes them complete" in order to break the spell. Rated 3 out of 5 by ninja226 from Lots of HOS This is an older CE hidden object game. It has a bonus chapter, wallpapers, multiple soundtracks , and concept art, but that's it. As a CE version, not a good value for what is expected these days (morphing objects, collectibles in each scene of main game, achievements/achievement room, extra puzzles, etc). The artwork is decent, but not awesome. There are many HO junk pile scenes, if you enjoy those. At least 10% of objects are hard to find, being small or well hidden. There are interactions, but nothing innovative or exceptional. This is one of the few games in which I had to use Hint to find. Most actions are easy to figure out, and I played on medium mode, so had a good game flow. The story is easy to follow and pretty good. It's a fairytale/legend theme, so not gloomy and dark. The artwork is nice, but not high definition, and thus, looks dated (like watching analog TV in age of HDTVs). Bonus chapter is not that long. I would recommend this game if you really love HOS or you buy on sale. Otherwise, I think there are much better values and better crafted games out there. Rated 3 out of 5 by hermitcave from Learn the Dark Queen's secret and save your kingdon. Oh, and pet the dog You were born to royal parents who ruled a happy kingdom but shortly after your birth, the Dark Queen attacked casting a spell that trapped your parents and the whole kingdom in amber. She tried to get you also but your brave nanny spirited you away and has raised you as her own in another kingdom. You have become of age and it is time to realize your heritage and take back your kingdom. Your nanny gives you a small chest that contains a pendant and scroll, the only objects she was able to save when she saved you. 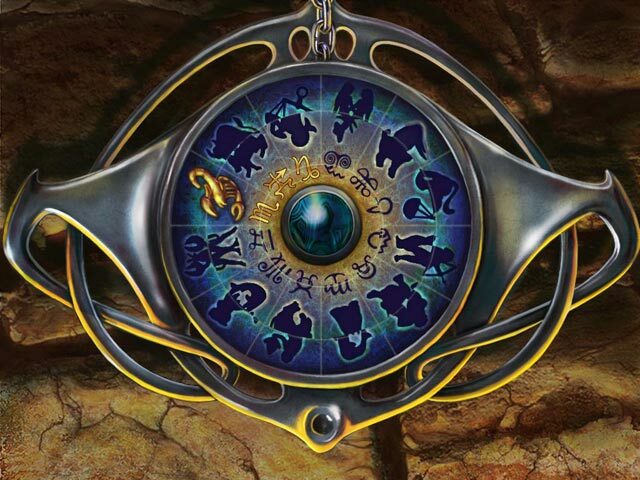 The scroll tells you that the pendant is needed to forge the Eye of Omniscience in fire and can only be used by one of royal blood. Your nanny tells you of a hidden magic portal that will return you to your kingdom and that there is a secret entrance into the castle. As Princess, you are the only one that can return and remove the amber curse and save your parents and kingdom. Of course, on your journey you must save various characters along the way by finding personal items that remove the curse from them and get more information about the Dark Queen's secret so you can defeat her. The first in the series and a gem from 2011, I enjoyed this game and thought it was well constructed with a nice flow that presented a familiar story very well. The graphics are top notch, beautiful, clear and very detailed, excellent voice acting, and music that went well with the story and scenery. Background sounds fit and enhanced the areas, especially the outdoor scenes, with multiple and varied environmental sounds. A journal keeps track of your progress but there is no map. Being fairly linear, the amount of backtracking is kept to a minimum so a map is not really missed here. 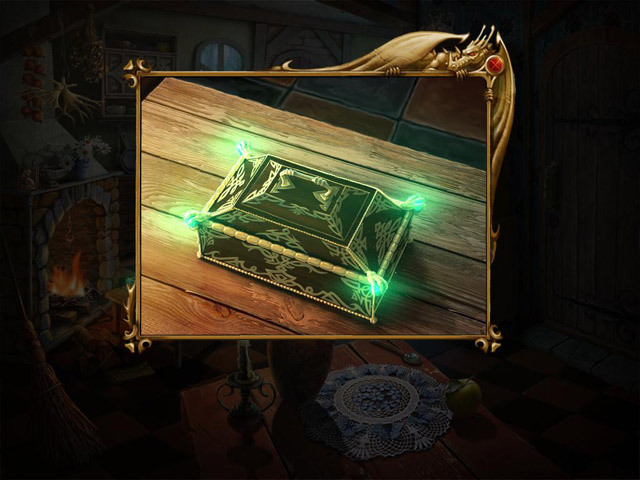 Hidden object scenes are intricate and detailed interactive list type with most objects of a size that can be found fairly easily. Puzzles and minigames are well done with some interesting twists that, though not new, do provide a different slant on them. They are not overly difficult and there is a skip button. Not as long as some CE games with a rather short bonus chapter that provides some additional information on how the Dark Queen came about. Recommended for those looking for a fairy tale afternoon. Rated 3 out of 5 by grumpybuttercup from Indifferent I don't really like the story. It doesn't make sense and for me the Queen looks is horrible, she should be the one who played antagonistic role. But still love the graphics. Rated 3 out of 5 by chasseur from Amber Maiden: Tastefully Tedious *these comments are based on completed game play* Ihmo, this game experience was a real snoozer with v. pretty pictures. While very nice to look at, the repetitive/derivative tasteful music score was slumber inducing. The "adventure" aspect became bogged down with repeating HO scenes. The story line and music go rushing forward into a operatic climax, leaving behind the hapless player confronting another tastefully beautiful rubbish heap or equally tastefully executed but essentially time wasting puzzle. As the bonus is equally tastefully "more of the same", I suggest that unless you have a child you would like to keep occupied, the SE is more than enough time to spend with this Amber Maiden. Tech Note: I found the cursor to be v. clumsy in puzzles and "picky" in HO scenes. Rated 3 out of 5 by ilovcavs from Too many HO scenes Overall if you like lots and lots of HO scenes, this is the game for you, but there were far too many for me - each scene held another one, so just trying to hurry up and finish it to get it done. Not much of a challenge at all. Rated 3 out of 5 by BF_Missy from Real Annoying Sound Great game, however, once you get to the old soldier who's encased in a golden web spell, and beyond that, there is this nasty grinding/whirling sound that cannot be silenced, otherwise you can't hear the musical instrument. This sound sticks around thru many search areas. I literally could NOT finish the trial game bcos of it. Such a shame. Rated 2 out of 5 by arnold1049 from DESPERATELY NEEDS A JUMP MAP Great game except for all the time wasted using the arrow to go up and down 3 or 4 or more levels at a time. This is one of my pet peeves with games until the developers got smart and provided maps that can be used to jump from one location to the next that needs some action taken. This game is a no-buy for me because of the lack of this kind of map. Rated 2 out of 5 by sassistace from How dissapointing!! I am an Avid game player, and found this game really Lousy! The Graphics were about the only good thing about the game. I was dissapointed after having played their other great game "The Phoenix"...This game had way too many "HOS"!! Also my "hint button on "regular player level, took forever to replenish, so alot of the game was played by the Strategy guide! :( I highly recommend Elephant games, they have many great games, incredible Graphics, and MAPS, anothers thing this game could have used!! I want my money back on this one..Very time consuming with no excitement!! I DO NOT recommend this!